Mommy ready for the boys to come out. 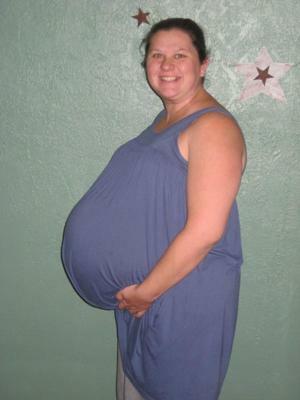 This was my wife at 35 weeks with twin boys. She had them 4 days later. We can be triplets! Someone saw this and asked me if I was having twins. LOL I am not but she and I look a lot alike.